Uniquely designed, this lemon bowl ashtray is perfect for both indoor or outdoor use. Fabricated from black ceramic, it has a glossy finish that will bring a touch of class to any room. Great for smoking with a friend, it has two cigar rests and a lemon shaped inner ash bowl. 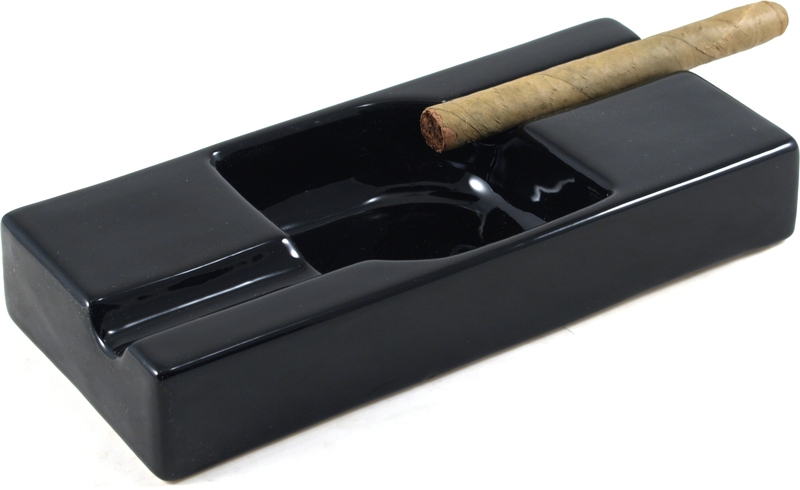 Convenient, durable, and functional, this ashtray would make a great gift for any cigar lover.